As a 360º video producer, you’ve most likely been in the situation where you’re doing a demonstration with multiple VR headsets, or maybe you’re even running a VR cinema where groups of people can watch 360º content at the same time. The issue here is that when one person is still in the middle of their experience, someone else just finishes and starts yapping away, disturbing the rest. Let’s not even start about the awkward, hushed conversations with your client while another person at the table is still lost inside their virtual world. Wouldn’t it be great if everyone could start and end their experience at exactly the same time? That’s why we developed the Headjack Cinema. Cinema is a powerful feature we added to Headjack, which gives you full control over multiple VR devices directly from your web browser. 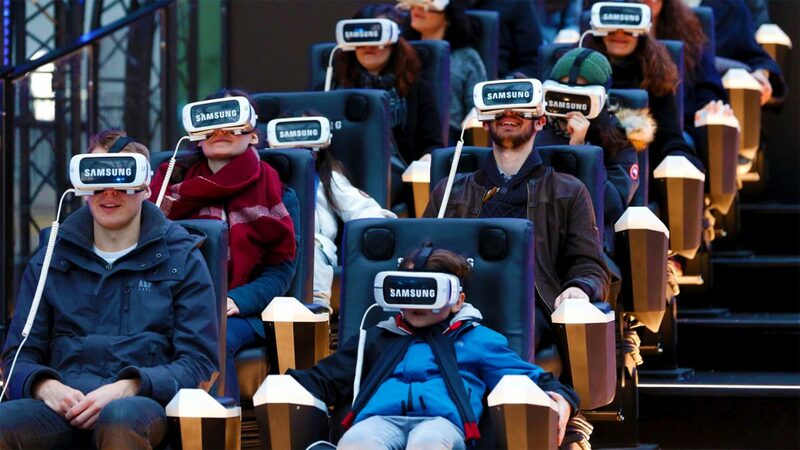 Cinema allows you to start playing a video on a nearly unlimited number of connected VR devices, at exactly the same time… but that’s just the beginning! On top of telling several devices to start playing a video, Cinema also allows you to send other useful commands to these devices. For example, you can give the command to download a particular video to the devices for offline playback, pause a video, delete a video, show a video’s metadata, or even send a custom text message! The way Cinema works, is that it establishes a connection with every device that has opened your app, anywhere in the world. Each of these devices then shows up in the Headjack backend with their unique device ID, which you can easily rename to make it easier for you to keep track of which devices are connected. You will also see the status, VR platform, OS, and model of the devices that are connected. You then have the option to select all of the connected devices, or only specific ones, after which you select an App and a Project you want to apply an action to. Finally, you select an action like Play Project and press Go! to start playing the video on all the devices you selected in the list. That’s it! Easy as that. Once you fired the command, the page will also show you the status of each of the devices, so it is easy for you to know when a certain device has finished playing or is experiencing some issues. We have already used Cinema to preview an 8 minute VR production to 10+ employees of a client in a tight 12 minute time frame. We even had time for a short introduction and to discuss the experience collectively afterwards. Cinema is now available for all plans. The Free plan is limited to 1 device, the Pro plan to 3 devices, while the Studio and Agency plans allow you to control an unlimited amount of devices at a distance. So what are you waiting for? Go check it out! headjack cinema seems to be a good option . It has all essential features needed to manage all devices at the same time.